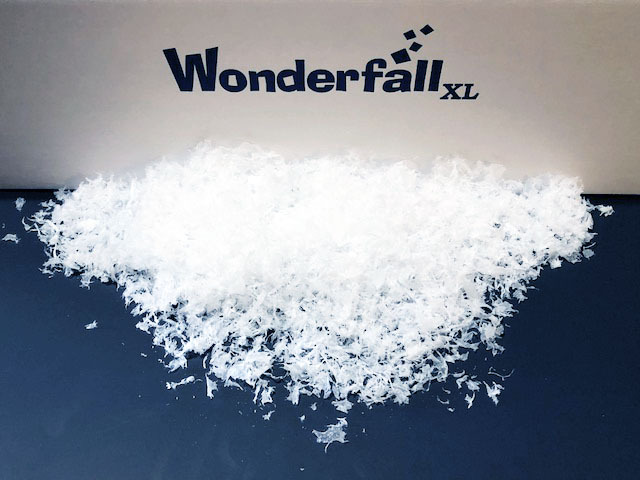 Start using Wonderfall XL in three easy steps: (1) Pull machine out of the shipping box (it comes fully assembled) and fill the snow machine with your choice of snow or confetti. (2) Mount the 3-pound Wonderfall XL unit over the desired location by following the simple instructions. 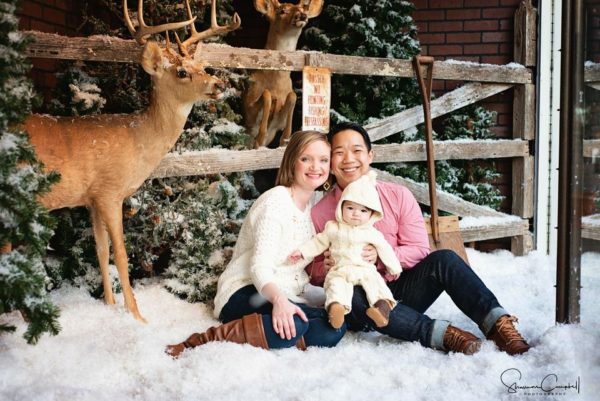 (3) Plug the cord into any outlet and watch with awe at the amazingly realistic, gentle snowfall of snowflakes float though the air. Need a heavier falling effect? Wonderfall XL is adjustable, so you can control the density of the falling effects to your needs. 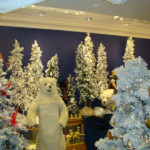 One snow machine is recommended to every 4 to 5 feet of display or stage area. 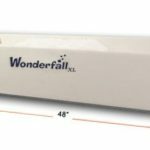 Wonderfall XL Dimensions– 48” long, 13” wide and 7” deep. Different snow and confetti can be used in the same machine. It weighs just 3 pounds empty and holds 3 pounds of snow so it’s very easy to handle and install. It takes about 5 min. to refill a Wonderfall XL snow machine. Are you looking for our products in Europe? Check out our affiliate at SnowFalls UK! The Wonderfall XL snow machine is the Original–and only– Silent, 8-hour, 3-pound, faux Snow Machine that’s been mesmerizing people for over 20 years! Our indoor, fake snow machine’s patented design will gently agitate artificial snow out from the bottom of the machine for hours at a time. Not just a great Artificial Snow Machine, it’s a falling effects machine. Because of our multi-purpose design, the same Wonderfall XL snow machine will drop Fall Leaves, Flower petals, or Party Confetti for hours at a time! Our Flower Petals and Fall Leaves are as thin as rice paper and have a Wonderfall wave-like fall that is eye catching and mesmerizing. 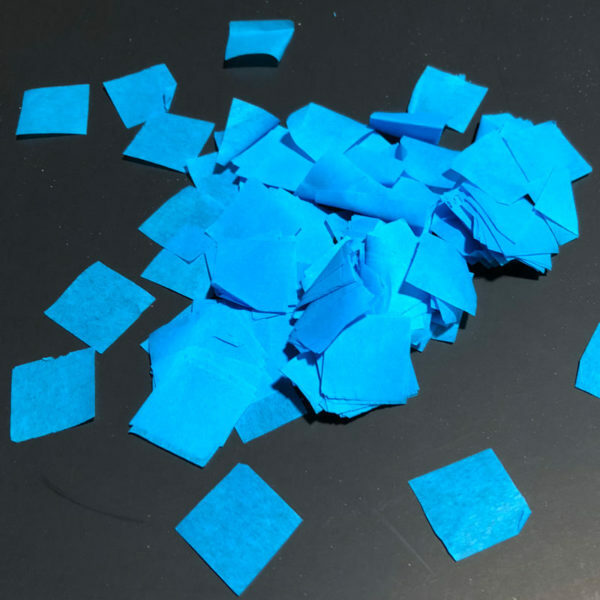 All confetti shapes and colors have a natural, gentle, random fall to perfectly compliment any setting without making a monsoon of falling confetti. We have the best snowflakes in the business! 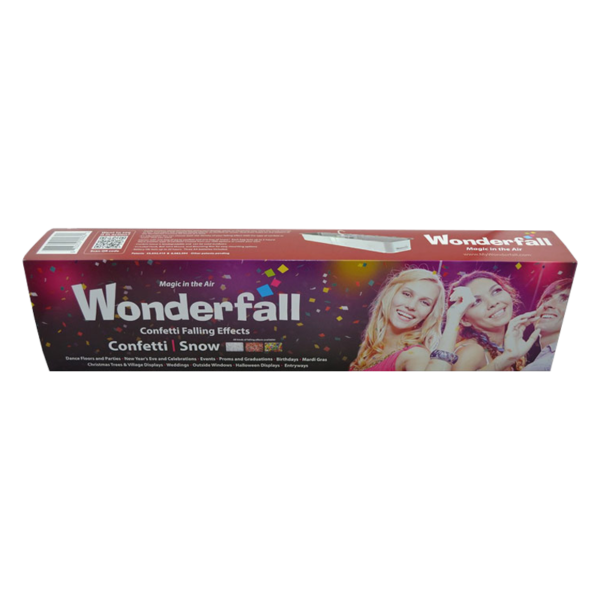 At Wonderfall, we take our snow material seriously, and using the right snow material is a must. All of our artificial snow is a carefully engineered, reusable, shredded plastic flake that falls soft and gentle through the air and gathers on the ground, or on tree branches, just like real snow! The Wonderfall XL snow machines are versatile! 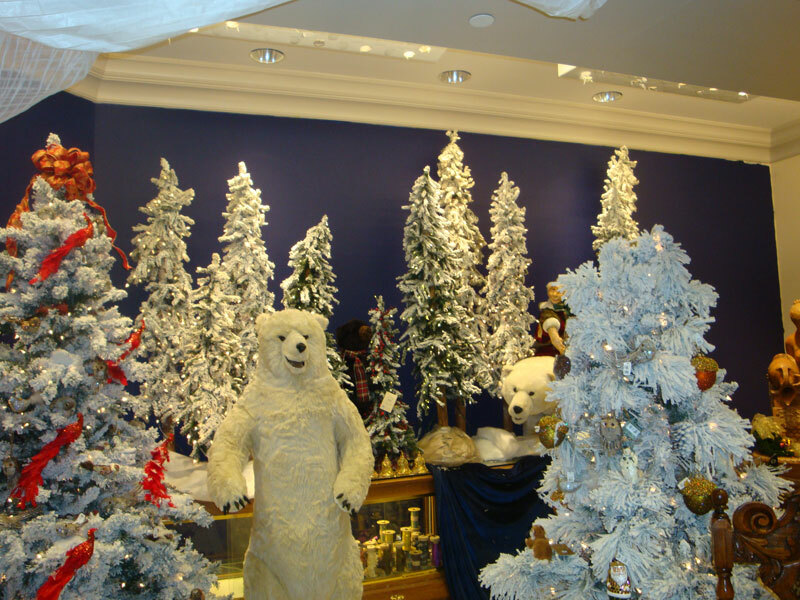 Most likely you have seen our snow machine is various settings: Retail Floor and Window Displays, Theatre, Church Productions, Proms, and Themed Events, and over entryways, just to name a few. We have worked with the best retailers and theaters worldwide to make great displays and we are looking forward to working with you.